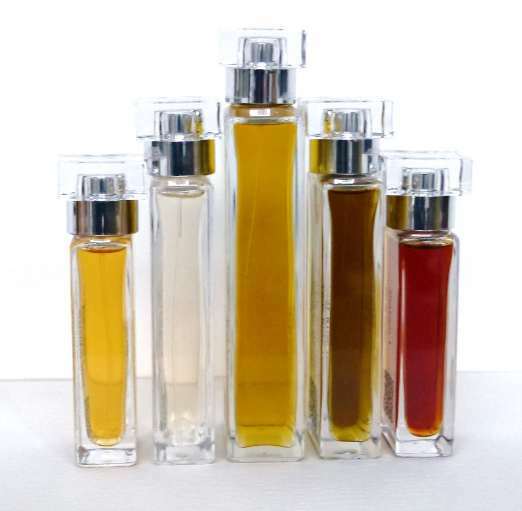 4160 Tuesdays is the quirky independent perfume house of Sarah McCartney, who makes all the fragrances by hand at her studio in west London. “The name: if we live until we’re 80, we have 4160 Tuesdays. That’s all. Let’s not waste them. Sarah’s scents tend to be as whimsical as their names, which include Invisible Ben, Tart’s Knicker Drawer and The Sexiest Scent on the Planet. Ever. (IMHO). I particularly liked the sound of Doe in the Snow because it’s a retro fragrance inspired by the fruity chypres of the 1960s and 70s. A time when many of these kind of perfumes had a laid-back, throwaway chic. Launched this year, Doe in the Snow has top notes of grapefruit, cedrat, yuzu, peach aldehyde, snow; heart notes of cedarwood, rose, jasmine, oak; base notes of opoponax, oakmoss, leather and green tea absolute. The icy citrus in the opening burst of fizz gives the initial stage an enlivening feeling, like stepping out first thing into a freshly snow covered landscape. You look at familiar surroundings with new eyes. Your senses seem extra sharp as the white blanket makes everything quiet and bright. The florals in the heart are smooth, silky and pleasantly sweet. In the drydown the snow has melted on a patch of ground and we get a slightly earthy, mossy base. The lovely vintage feel is sustained from beginning to end. Although it has a snow white theme, for some reason I keep visualising it as green. I can only think this is a result of the combination of the tart citrus, oakmoss and green tea. The frosty covering gives Doe in the Snow a clever twist. It has a crisp, crystallised quality. Think “Diorella on Ice” or even “Sous le Vent on a Snowball”. Despite feeling like “Citrus fruits, flowers and woods, stirred with an icicle” as Sarah so nicely puts it, Doe in the Snow doesn’t feel cold and uncomfortable. You’re walking into the Big Freeze but the serenity of the scene insulates you from the chill. Doe in the Snow is elegant as chypres usually are, but what’s good about it is that it’s so relaxed and easy to wear. It doesn’t have the stand-offish nature of some in the genre. There’s no lofty attitude. It does indeed have gentle doe eyes rather than a steely stare. So although Doe in the Snow was created for a bride on her winter wedding day, you don’t need a special occasion to wear it. It would add a dash of class no matter what clothes you had on. In much the same way a slick of red lipstick can pull together any outfit. I think it would be fun to wear Doe in the Snow on Christmas Day. A special time of year, but one many of us spend a large amount of lounging around in our pyjamas. Did you try 4160 Tuesdays? Any favorites? This entry was posted in By Tara, Chypre, Fragrance Reviews and tagged 4260 Tuesdays, Chypre, Fragrance, Perfume, Review, Sarah McCartney. Bookmark the permalink. At the moment I use mine to deliver cookies. Thanks, Val. Do I take it you wear your PJs on the Cookie Run?! Hope you find your sample. Oops, inverted commas should be after ‘snowball’ and only one ‘many’. That’s great to hear considering you know this one, V. I hope I get to see a pic of a Cannock doe in the snow. I do struggle with some of these indi frags Tara but it does sound lovely. The mere mention of Sous Le Vent makes me curious to smell it. I know what you mean, Michael. I want to love the indie stuff but more often than not it doesn’t work for me. I really like your review of this, Tara. It does capture the scent to a T. I have a sample of this and while I agree that it is a lovely perfume, it’s ultimately not for me. I do like my chypres steely eyed, and my comfort scents need more warmth. As it is, Doe in the Snow is sort of in the middle. Thanks, Sabine. I wish I could wear those steely green/leather chypres, they’re so sophisticated. I can usually only handle the more friendly, fruity ones. My sample arrived of Doe in the Snow right after Christmas. You are right that it is indeed icy but at the same time, there is a warmth about it…almost like a fur coat. Please try Tart’s Knicker Drawer. I really like it and would be interested in your opinion. It has great staying power (@ eight hours) on me, as does Doe in the Snow. Speaking of snow, we currently have a temperature of 7 degrees this morning with windchill in the minus degrees, as well as a dusting of snow and strong winds. I think I will wear my sample of Doe in the Snow today, although I’m really enjoying my Hermes samples! 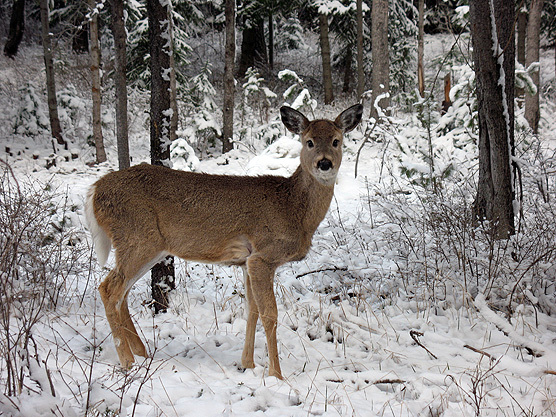 Doe in the Snow is very much like wearing a fur coat in the cold. Tart’s Knicker Drawer is fantastic and my favourite of Sarah’s perfumes. I’ve also found it’s extremely long-lasting. A review will be up next month. Thanks for sharing your favourites yellow_cello. I haven’t tried Says Alice yet but sounds good. It is! I didn’t like it when I first tried it on a grey winter’s day, but then I tried it again in the summer and it suddenly came alive, and now I love it whatever the weather! Thanks for that. I may wait and try it in the summer in that case. What a gorgeous doe-eyed review Tara, it sounds like it’s one you truly like. Despite or perhaps because of how you describe it, I can’t put the notes to the picture of vintage. Grapefruit, cedrat, yuzu, green tea; they are all such thoroughly comtemporary notes to me, it all sounds very intriguing. I haven’t tried any of Sarah’s frags yet, I’m looking forward to it. Love the names. Thanks, Asali. They do have such great names. I’m going to put some of this one and Tart’s Knicker Drawer in the post to you. I’ll be interested in what you make of them. Beautiful review Tara. I will be sure to try them when I find them. Thanks Sandra. I’ll try and remember to bring you some when I’m over. Lovely review Tara! I have been curious about this line because of the whimsical concept and names. Lovely to “see” you Lavanya. There is something very fresh about 4160 Tuesdays. The names are fab. I remember you saying when we last met. I’m sorry the samples didn’t work out for you. That is disappointing. Thank you so much, Suzanne. That’s lovely to hear. I think Doe in the Snow may well be your kind of thing! Sorry I’m so late to the party. No I’ve not tried them yet but am most intrigued. There has been a LOT of chatter on the internet about the house and I know you all adore Sarah McCartney. There is just so much to get to, I am finding it a little bewildering looking at my backlog already. Never apologise. It’s always lovely to hear from you – whenever. WOW! You have become a Fortune Teller Tara? That is a very impressive fortune. Ha! I hope you like it.